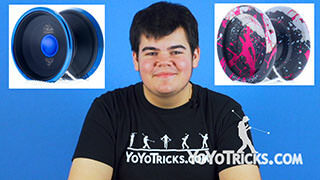 Stay up to date with the latest yoyo news from YoYoTricks.com with the Weekly Yoyo Update! 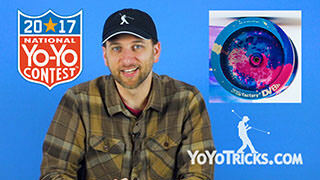 The Weekly Yoyo Update where Gentry Stein Runs a Contest – 10-4-17 Yoyo TrickWelcome back to another weekly yoyo update, I’m Adam Bottiglia. Bi-material, bi-metals, bi-weekly. 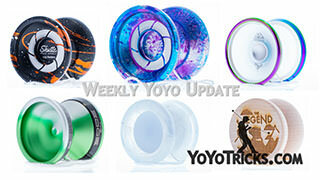 We are taking a page from the current yoyo trend and moving the Weekly yoyo update to a bi-weekly schedule. No, we are not going to be posting two videos a week, we are doing a video every other week, the way it should be. 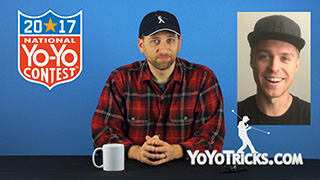 In our off weeks we will be experimenting with new types of content, yet to be determined, so feelfree to ask, but we probably won’t have an answer for you, or continuing to post new tricks and reviews. 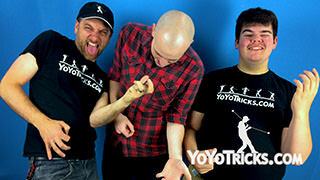 We’re also not going to call it the Bi-weekly yoyo update, even though we probably should. 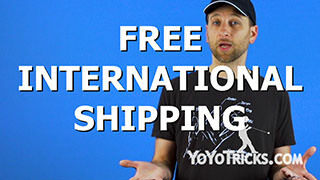 One benefit of the new bi-weekly schedule is you will have an additional week to post your contest videos to instagram, and we will be bumping up the prize from $10 for each contest to $25, so be sure to keep posting those videos. 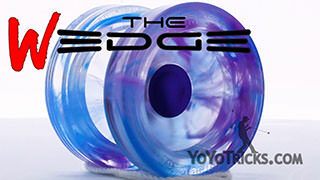 Now in breaking news, the iYoYo iCEBERG which released just yesterday sold out in less than 12 hours on the YoYoTricks.com store. I’ve just been informed that a restock order has been placed, and additional colors of the iCEBERG will be made available at that time. We will keep you updated as more information becomes available. In other news, the National Yoyo Contest is taking place this weekend in Chico, California. While everyone will be keeping a close watch on the 2a division, which is sure to crown a new champion this year, many fan favorites in 1a will also be making an appearance. 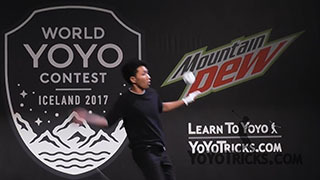 Gentry Stein will be pursing his 4th National Title, and Evan Nagao, who has been climbing the ranks the last few years is looking for his first win at the National Contest. 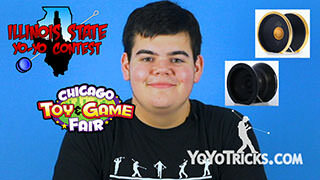 Chandler Steele, winner of the MER yoyo contest put on by YoYoTricks.com this past July at the Indianapolis PopCon, has starting making waves this year in the competitive scene, so we are eager to see him compete on the national stage as well. Do you have an idea of who will win this year? 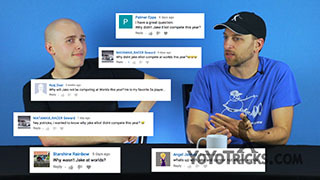 Put it in the comments below; You can always delete it later if you were wrong. 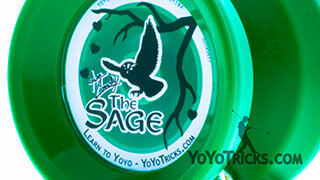 Ben and Chris will be in attendance at the contest, be sure to say hi if you see them there. Turning to this week’s Instagram contest we are pleased to welcome World Champion Gentry Stein who is going to help us out. Gentry, it’s good to see you. Gentry: Glad I could make it, Adam. Adam: Now Gentry, before we get into this weeks Instagram contest, I know lots of our viewers are dying to know, will you be using the new Shutter Wide Angle at Nationals this weekend? Gentry: I think I am going to leave that one to their surprise, Adam. Adam: Well we are all eagerly awaiting your routine, that’s for sure. 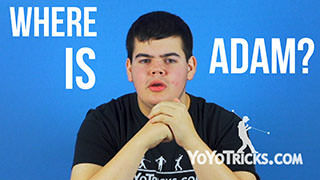 Now, I understand that you have recently completed a video series on the YoTricks Youtube channel teaching players how to be more successful at yoyo contests. Gentry: Yea, that’s right. I’m really looking forward to seeing players use the series to improve their competitive routines and tricks, which is actually what this week’s contest is all about. Gentry: Thanks Adam. 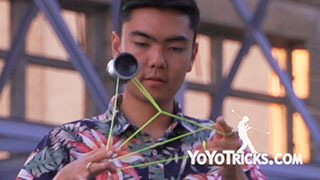 For this week’s Instagram contest we want to see your best trick that scores. 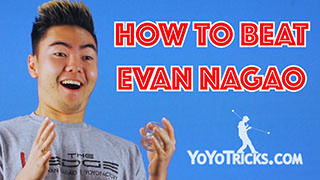 If you are not sure how to make a trick that scores, you can watch my video about how to make a trick that clicks on the YoTricks Youtube channel. 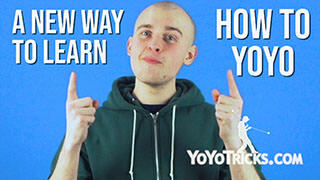 In that video I give you bunch of tips on how to make a trick that clicks well. Adam: And how will the winner be chosen? 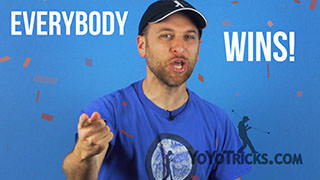 Gentry: Like the previous contests, the winner will be chosen at random, but I will be coming back to the show in 2 weeks to show some of my favorite submissions, as well as explaining why some of them would be good at yoyo contests. 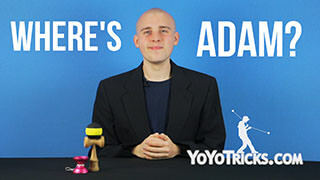 Adam: Very cool. 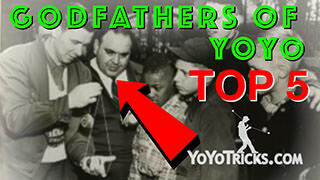 Of course fans of this show already know they need to go to yoyotricks.com/instacontest/ for a full list of rules. 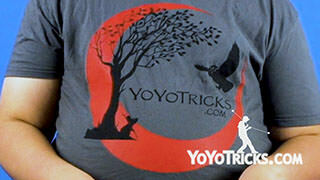 Be sure to post your trick to Instagram using the hashtag #yotricksthatclick – we will be accepting submissions for the next two weeks and the winner will receive a $25 gift card to yoyotricks.com Gentry, we’ll see you back here in 2 weeks. Gentry: I’m looking forward to it, Adam. Congratulations to last weeks Instagram winner @ChristiansenJae, be sure to check your Instagram DMs to collect your prize. 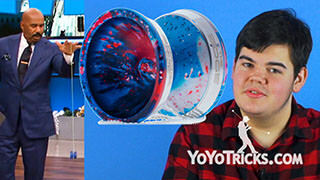 To close out the show here are a few of our favorite entries from last weeks contest. 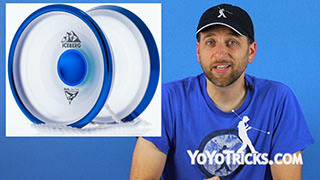 I’m Adam Bottiglia signing off reminding you, yoyos may not give life meaning, but life does give meaning to yoyos. We’ll see you next time.